As president of Peel & Holland, one of Roy’s primary responsibilities is to be a high-level strategic advisor for our larger clients. His experience in risk consulting has assisted our clients in eliminating substantial risks, thus adding dollars to their bottom lines. Roy also implements the strategic direction for Peel & Holland established by the company’s leadership team. Roy has 20 years of experience in the insurance industry. He has his bachelor of business administration in insurance, risk management and finance from the University of Memphis. Roy and his wife Jennifer, who live in Murray, are very involved with their church. Roy and Jennifer have two children, Hannah and Coleman. Keith, who has 18 years of experience in insurance and financial services, serves as a business risk consultant in the Corporate Solutions Group at Peel & Holland. His focus is on designing and implementing SolutionPRO plans that identify and address clients’ risks, helping them to control costs, avoid pitfalls, maximize investments and grow the value of their companies. He is one of the foremost experts in our region on property and casualty insurance, as well as bonding and captive insurance programs. He has his bachelor of business administration in insurance and risk management from Eastern Kentucky University. Keith and his wife Jan reside in Benton with their sons, Chase and Collin. Kelly works with employers to design and implement effective benefit programs. 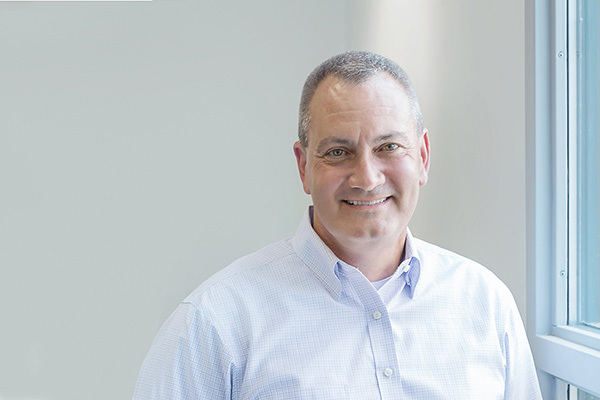 He has a strong focus on public entity employers working statewide with groups from 2 -250 employees and he co-manages the Kentucky Association of Counties (KACo) Association Health Plan. This association health plan works with over 150 public entity employer groups serving more than 4000 employees. Kelly joined Peel & Holland in 2016 when his agency, Harding Benefits Consulting, merged with Peel & Holland. He received a bachelor’s degree in education from the University of Kentucky in 1985. Since that time, he has worked with national firms in sales, sales management, and sales training with a focus on a consultative approach to client solutions. He guides his clients through a strategic planning process creating personalized strategies in managing insurance plans, risk planning, employee benefits plan development, human resources, plan compliance and wellness programs. Kelly has a Healthcare Consulting license and has earned certification from the American College of Financial Professionals in Healthcare Reform Studies. Kelly and his family reside in Franklin. Eric joined Peel & Holland in 2012. He is responsible for maintaining and securing the agency’s technical infrastructure. He works with the principals and Executive Committee to help direct the agency’s vision by using technology to facilitate the agency’s goals for growth and success. He provides technical support to team members, enabling them to increase their productivity and allowing them to provide the best level of service to our clients. Eric studied mechanical engineering at the University of Kentucky and has 14 years of experience in computer science and information technology. Most recently, Eric earned his AINS designation. Prior to beginning work at Peel & Holland, he was the network administrator for the City of Paducah. Eric resides in Paducah. Jessica joined Peel & Holland in 2009 as an account manager for family clients. She then moved into business development for the agency, in which she works on various branding, marketing, design and sales projects. She helps develop and implement special programs for the agency’s risk advisors and service groups. Jessica also works to improve the agency’s efficiencies in its use of technology and the programs available to its service teams. She is a 2008 graduate of Murray State University with a bachelor of science degree in journalism, and a 2012 graduate of Murray State with a masters in business administration. Jessica, her husband David, and their children, Sagan and Nolan, live in Murray. Adrianne spent the first decade of her professional career as a Certified Public Accountant and has extensive experience with the analysis and reporting of key business metrics. Additionally, as a Professional in Human Resources, and Wellness Plan Administrator, she has a unique talent for identifying drivers of costs as well as opportunities for improving corporate culture, employee morale, and bottom-line profitability. Recently promoted to Vice President of our Well-Score Division, Adrianne is passionate about helping employers create a culture of engagement in order to maximize the employee experience. 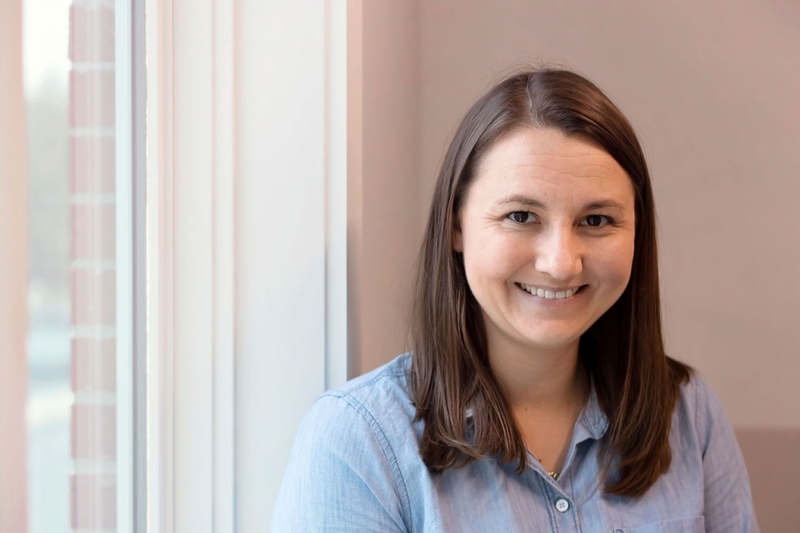 Allie is a Marketing & PR Coordinator who partners with the Peel & Holland team to design and create marketing plans and materials, coordinate and plan professional events, and grow the Peel & Holland brand. 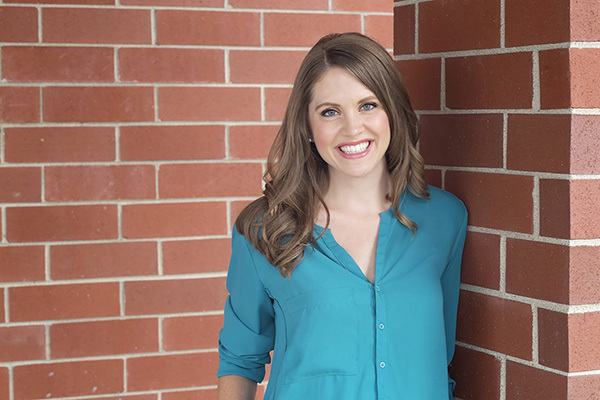 After spending over a decade working in marketing for various companies, Allie knows how to create a clear message and drive attendance at events to engage each of our local communities. Allie is passionate about team culture and helping grow leaders of our communities through professional events like the Global Leadership Summit. She holds a BA in marketing from Murray State University and lives in Murray with her husband Scott and daughter Quinn. She is active in their church and enjoys running, photography, traveling, and the outdoors. Alysse joined the Peel & Holland team in April of 2017 as an Executive Assistant. She graduated from Murray State University in 2015 with a Bachelor of Science in communications, and is currently working towards her MBA. Alysse and her husband, Jeremy, live in Kevil with their son Eli. They are expecting their second baby boy, Avery, in February of 2018. Amanda is a Marshall County native who joined the Peel & Holland family in February of 2018. Her nearly 15 years of customer service experience works hand-in-hand with her role as a Commercial Lines Account Manager. Since joining Peel & Holland, Amanda has been licensed in Property & Casualty Insurance and is working toward her Accredited Advisor of Insurance certification. She currently resides in Marshall County with her dog, Lucy, and enjoys mountain biking, camping, and traveling. Amberly joined the team in November 2017 when Frizzell Insurance Agency merged with Peel & Holland. Although new to Peel & Holland, due to her insurance experience in Alabama and Kentucky, she is well-versed in assisting families with making the best insurance choices. Amberly, her husband Seth, and daughter Gracie reside in Benton. They love to Jeep and enjoy the outdoors. Andy joins Peel & Holland as a Business Account Administrator. He is a 2009 graduate of Murray State University with a Bachelor of Science in Recreation. With a background in customer service, Andy has spent the last two years as an insurance agent specializing in personal insurance where he worked with family clients throughout Western Kentucky. His experience and attention to detail will provide a unique benefit to our commercial lines clients. He resides in Benton with his wife Hailey, daughter Riley, and dog Cooper. Becky joined Peel & Holland in 1999. She serves as the property and casualty senior account manager for our corporate solutions group and public entity clients. Becky has more than 20 years’ experience in commercial insurance. She has extensive experience working with large accounts such as construction contractors, industrial engineering firms, public entities, school systems and hazardous material dealers. A Paducah native and graduate of Paducah Tilghman, Becky graduated from Western Kentucky University in Bowling Green in 1987 with a bachelor of arts degree in math. Becky has earned the Accredited Customer Service Representative, Accredited Advisor of Insurance and Certified Insurance Counselor designations. Becky and her husband Greg reside in Paducah. They enjoy watching UK basketball, boating on the Tennessee River, and most importantly spending time with their three daughters and three young granddaughters. Beth has 25 years of experience in the insurance industry, all of which she has spent at Peel & Holland. Beth works on our small business unit accounts on our business team. She and her husband, Rod, live in Mayfield. They have two children and three grandchildren. Brittney joined the Peel & Holland team in February 2017 as an Associate Risk Advisor. She has five years of experience in the medical and higher education industry. She has a Bachelor of Science in nursing and a Master of Science in human development and leadership with a concentration in college student personnel. Brittney and her husband Ben live in Murray and are involved in their community and church. Brittney and Ben have two daughters, Isabelle and Lucy. Carolyn provides administrative support for the entire agency. A member of Peel & Holland since December 1994, she is a licensed life and health agent. She processes the agency’s mail, scanning documents to each department, and helps direct clients to the correct account manager. Carolyn lives in Benton and has two children and four grandchildren. Chris joined Peel & Holland as Director of Public Entity in 2014. He previously served as the Executive Director for the Pennyrile Area Development District, where he worked for his 25 year career before his retirement last January. Chris and his family reside in Eddyville, Kentucky. Christie joined Peel & Holland in June 2012. She has more than 20 years of experience in the insurance industry, and earned her property and casualty license in 1990. Christie serves as an account manager for our family team, assisting personal lines clients with their insurance needs. She resides in Marshall County with her two sons, Logan and Colton. Cindy joined Peel & Holland in February 1990. She assists the community and corporate solutions groups with the daily service requests from our clients. Cindy’s main duties consist of preparing certificates of insurance, handling claims and providing administrative support for the entire agency. She and her husband, Roger, reside in Marshall County. Her interests include embroidery, quilting and spending time with her two grandchildren. Clare joined our team in May 2012. She is responsible for several accounting and financial reporting functions, including payroll, monthly/quarterly reconciliations and monitoring budgetary expenditures. She has more than 15 years’ experience in accounting, having worked in both the public and private sectors. Clare received her B.B.A. in Accounting and her M.B.A. in Finance from the University of Memphis, where she was also an All-Conference player for the Lady Tiger volleyball team. In 2009, she was inducted into the M Club Hall of Fame. She has not only been successful in business, but also as a high school volleyball coach in both Tennessee and Kentucky, bringing home a state championship in 2003. Through her work in accounting and volleyball, she has grown to understand the importance of working as a team to accomplish goals. She and her husband, Mark, reside in Murray with their son, Trey, and Labrador, “Coach”. They all enjoy playing and watching sports. Both Clare and Mark are accomplished coaches in volleyball, football and track. Clinton joined the Peel & Holland team in August 2016 as a Business Development Intern and later as an Associate Risk Advisor. Clinton has a Bachelor of Science in Occupational Safety & Health and a Master of Science in Economic Development from Murray State University. Clinton enjoys politics, and maintains a focus on public entity clients. He currently resides in Murray, where he remains active in the community and attending Racer athletic events. 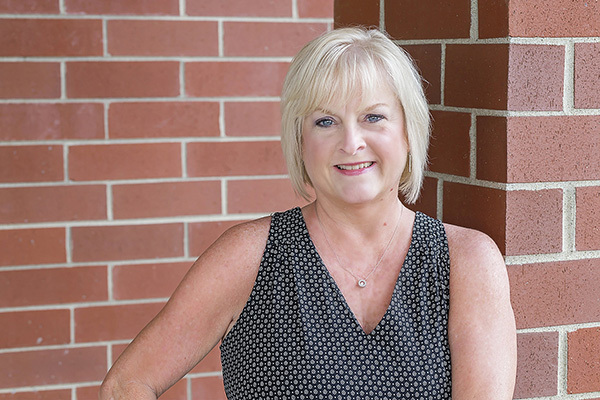 Debbie, who joined Peel & Holland in 1978, is responsible for administrative assistance and tracking client relationship management deliverables for our Corporate Solutions Group clients. She is also responsible for scheduling, document compilation, administrative management, corporate record keeping and event planning. Debbie graduated from Murray State University in 1978 with an associate of arts degree in secretarial science. In 1990, she received the Certified Professional Secretary designation. She and her husband Gary reside in Draffenville and are members of Zion’s Cause Baptist Church. DJ joined Peel & Holland in 2015. He graduated from Murray State University with a bachelor of arts degree in history. After graduation, DJ worked in sales and sales management roles at AT&T where he honed his sales and customer service skills. He then moved to Health Resources, Inc. selling their variety of dental benefit plans to employers. His primary role at Peel & Holland is managing client relationships with the team and carriers and assisting with benefit plan designs and implementation. DJ and his family live in Murray. Don started his insurance career in 1967 with Prudential Insurance and a couple years later established Frizzell Insurance Agency. In November 2017, Don joined the Peel & Holland team when his agency merged with Peel & Holland. Don is Marshall County born and raised and resides in Benton with his wife, Pat. They have two children, Tiffany and Trent. When Don isn’t with his grandkids, you’ll find him enjoying UK basketball or golf. Peel & Holland’s high performance professionals serve clients with innovative strategies in managing insurance plans, strategic risk consulting, employee benefits, human resources, plan compliance, and wellness programs. 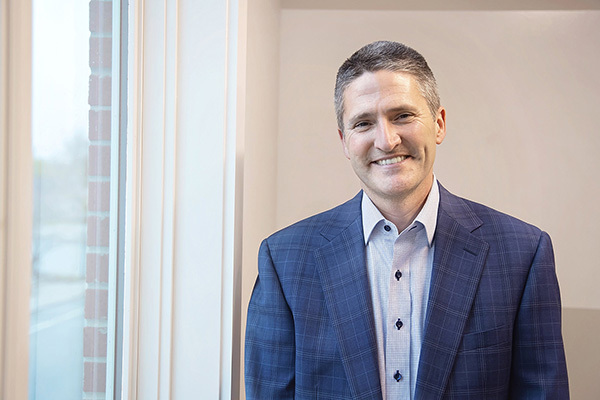 Greg, as Senior Vice-President, leads the benefits and wellness unit at Peel & Holland with marketing, consulting, compliance, and strategic risk and benefits management. Greg is an author, speaker and noted expert on employee benefits, health risk, health reform and consumer-driven health design. With more than 30 years of experience in insurance and financial services, he consults and presents to clients and professional associations, providing expertise on driving innovation and strategic planning, that result in lowering costs-of-risk and improving profits while making clients more attractive employers. Greg has his bachelor of independent studies in administrative sciences from Murray State University and has earned a number of advanced professional designations from The American College including Chartered Life Underwriter®, Chartered Financial Consultant®, Registered Health Underwriter®, and Chartered Health Consultant™. These designations represent a life-long commitment in service to clients while remaining rooted in continuing education, ethics, and making a professional pledge to deliver quality, innovative, client-centric solutions in health risk management, financial planning, and risk advisory services. Greg and his family are actively involved in a variety of mission and outreach programs, locally and internationally. Greg McNutt joined Peel & Holland in 2008 after owning and operating McNutt Insurance in Murray for 14 years. He graduated from Murray State University and is a licensed agent in property, casualty, life and health. He has more than 25 years of experience in the insurance industry. He serves as a business risk consultant within our community client group, and his principal focus is in to provide solutions to the life, health and benefits needs of his clients. He has a special interest in long-term care planning, for which he received the Certified in Long Term Care Certification in 2003. Greg was a founding member of the Murray-Calloway County Community Foundation, a philanthropic organization dedicated to community giving. Heather joined Peel & Holland in 2009 after serving as an independent agent representing Aflac in Western Kentucky. She is licensed in property, casualty, life, and health, and is pursuing the Certified Insurance Counselor designation. Heather, who has served as president of NAIFA West KY, currently serves on multiple committees in the Mayfield Rotary Club, including Program, Youth, and Scholarship. She has recently been nominated to serve on the Board of Directors of the Mayfield Graves County Chamber of Commerce. 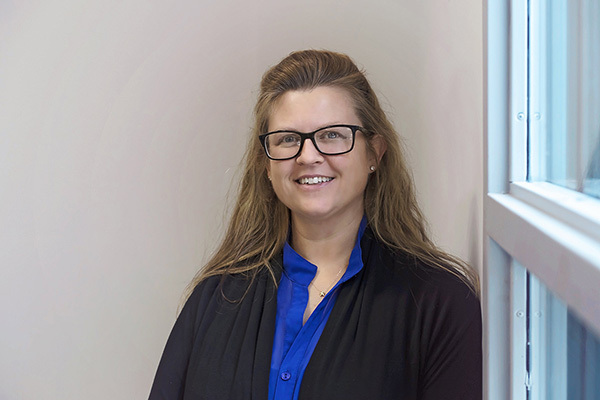 Heather focuses on offering solutions to reduce risk and increase profitability for our business clients. Her area of expertise is in the employee benefits market with a focus on voluntary benefits. You may find her on the soccer field side line or at gymnastics in off-work hours with her two daughters, with whom she resides in Graves County. Janice is responsible for the day-to-day account management for our community business clients’ employee benefits plans. Janice, who graduated from Paducah Community College in 1994 with an associate of science degree in business, joined Peel & Holland in 2005. She is a licensed life and health agent and has extensive experience in human resources in both a 1,000-employee hospital and a 1,200-employee corporation. Janice, her husband, Dave, and son, Matthew, reside in Murray and daughter and son-in-law, Travis and Meagan Palmer, reside in Kirksey. She enjoys being involved in her children’s activities, traveling, and participating in church activities. 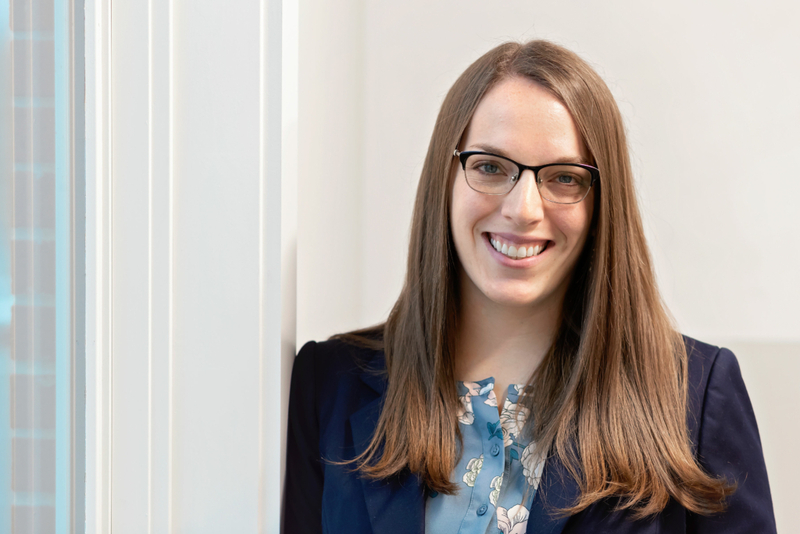 Jasmine joined the Peel & Holland team in September 2018. She graduated from West Kentucky Community & Technical College in May 2014 with Associate of Science and Associate of Art Degrees while serving as a Student Ambassador. Jasmine’s great capacity for quick and focused thinking paired with her many years of customer service makes her an asset to the team as the Benefits Account Administrator. She currently resides in Paducah with her two dogs. Jasmine enjoys traveling, photography and the outdoors. Jerry Pace plays an integral role in public entity client relationship management for the Kentucky Association of Counties, Kentucky League of Cities, and Kentucky School Boards Association. He joined the agency in 1995 when his agency, Pace Insurance, merged with Peel & Holland. Jerry has been in the insurance business for more than 35 years. He is a graduate of Murray State University with a degree in business and agriculture. He is very involved in community events and civic organizations, and enjoys golf, hunting and family activities in his spare time. Jill joined Peel & Holland’s team in 2014 as a benefits risk advisor. She has worked in insurance for the past 10 years. She assisted clients with their life, health, property and casualty needs for a national carrier for several years, then worked as an independent contractor to provide crop insurance to clients. Jill is an expert at assessing the needs of her clients and putting a plan into place to ensure their long-term success. She lives in Fulton and loves spending time with her family. John joined Peel & Holland in April 2011. He is a licensed agent in property, casualty, life and health, and graduated with a bachelor of science in math and political science from Lambuth University. John’s career began in commercial banking, where he focused on marketing and business development. He worked to partner with local businesses through his position as director of Murray-Calloway County Chamber of Commerce. After eight years with the Chamber, he transitioned to insurance and risk management. John’s focus is working with businesses and individuals to build property and casualty insurance and risk management programs. Karmen joined Peel & Holland in 2011 when the agency for which she had worked for 18 years, Harris & Oliver, merged with our agency. Prior to working in insurance, she spent 15 years in banking. Karmen attended the University of Oklahoma and is a CISR and notary public for Kentucky. She helped construct the first all-woman build of a Habitat for Humanity house in 2001. She and her husband Tim live in Kevil. They are very involved in their church. Kayla’s three passions in life are people, coffee, and hockey (Go Preds!). With the natural drive to help others, she gravitated towards customer service roles throughout her entire career. By working in sales for State Farm and Paschall Truck Lines, Kayla formed a solid foundation of knowledge of both family and business insurance. Her specialty is working with manufacturers & distributors wherein she finds and exposes hidden risks and develops a plan of action that is custom tailored to fit their risk management needs. Kayla is also dedicated to promoting her community. She is part of the Marshall County Leadership Program, a member of the Young Professionals of Murray where she serves on the leadership committee, and a member and supporter of WIN- Women Influence Inspiration & Integrity Network. Kayla, her fiancé- Adam, and three children, Aiden, Lukas, and Bella, live in Murray, KY and attend The Journey Church. Stop by and have a cup of coffee with her sometime to see how she can serve you! Kelli “KJ” joined Peel & Holland in 2016 when the agency for which she had worked for, Harding Benefits Consulting, merged with our agency. She is a licensed Life and Health agent. In 2013, she graduated from Southcentral Kentucky Community & Technical College with an Associate’s Degree in Applied Science and is currently a Certified Respiratory Therapist. Kelli and her husband Jacob have 4 children: Emmi attends Bethel University and is the catcher for the Lady Wildcat softball team. Hanah attends the University of Louisville, majoring in education and coaching. Jake is in 8th grade and is in the high school marching band and Kaydee is in 5th grade and loves softball and soccer. Kelly and her family reside in Franklin. Kenny earned a bachelor’s degree in biology and education from the University of Arkansas, Fayetteville, then worked as an assistant Division I college basketball coach at the University of Arkansas, Georgia State University and Murray State University. Kenny later continued his career in college athletics, spending five years as Associate Athletic Director and Athletic Director at Murray State. Following his tenure at Murray State, he served as President of South Eastern Book Company and most recently as Senior Vice President at CollegeBookRenter before joining the team at Peel & Holland in 2014. Kenny and his wife Beverly reside in Murray with their two sons, Jay (18) and Luke (16). Kim joined Peel & Holland in 2018 as Director of Marketing. She is responsible for the creation and implementation of marketing campaigns to support our company’s goals for growth and success. Kim has worked in sales and marketing for a variety of companies, spanning from small entrepreneurial companies, global technology companies, national associations, and more recently as a successful marketing and sales enablement consultant specializing in technology start-ups. She is passionate about enabling sales teams and building brands. Kim is a talented content creator and strategic marketing professional. With hometown roots in Marshall County, KY, Kim currently resides in Carmel, Indiana with her husband Gary. They spend their free time traveling, working on their retirement property and having fun with their six grandchildren. Kim joined Peel & Holland in 1995 as a member of the employee benefits team of what at the time was Peel & Holland Security Planning. She currently serves as an account manager, managing and coordinating employee benefits programs for our public entity team. She works with clients such as county governments, libraries, ambulance services, and other public agencies throughout Kentucky. Kim is a graduate of the Wilma Boyd Career School in Pittsburgh, Penn., and prior to joining Peel & Holland worked in market administration for two major insurance companies in the Dallas-Fort Worth, Texas, metroplex, and in purchasing and facility management in Knoxville, Tenn. Kim and her husband Rich reside in Benton, with their two children, Jared & Kaitlyn. Jared will graduate in 2011 from Murray State University with a bachelors of arts degree in computer graphics communications, and Kaitlyn is a varsity cheerleader at Marshall County High School. Lindsay joined Peel & Holland in August 2000. She graduated from Marshall County High School in 2001 and continued her education at West Kentucky Community & Technical College, graduating in December 2003 with an Associate of Arts degree with distinction. 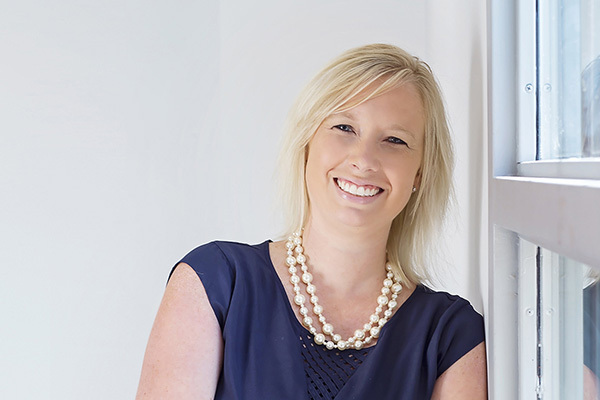 Lindsay is a licensed agent in both Property & Casualty and Life & Health. She works with prospective and future family clients to provide them with comprehensive personal insurance solutions. She and her husband, Dustin, live in Draffenville with their daughters, Allie and Maddie. Lorrie joined Peel & Holland in October 2006. She serves as a property & casualty Business Account Manager for our community clients. Lorrie spent two years at the University of California-Los Angeles studying fine arts before leaving school to raise her family. She started her career in the insurance industry in 1994 when she began working for a major insurance agency in Southern California. Her work as an Account Manager has provided her with the opportunity to service a wide range of clients. She and her husband, Allen, reside in Marshall County. Marla joined Peel & Holland in 2016 when the agency for which she had worked for 5 years, Harding Benefits Consulting, merged with our agency. She is a member of the employee benefits team and is a licensed Life and Health agent. Marla has more than 12 years’ experience in the insurance industry and also has 12 years’ experience in the non-profit sector. Prior to joining Peel & Holland, Marla served as Executive Director for the Simpson County Habitat for Humanity. She graduated from Clark University with a Bachelor of Arts Degree in both Psychology and Geography. Marla works closely with clients to implement new business and to coordinate renewals for existing clients. Additionally, she problem solves for clients and serves as a liaison between customers, insurance carriers and third-party administrators to ensure the benefits programs for our clients run smoothly. Marla is heavily involved in the community by serving on local boards, writing grants for non-profits and is actively involved in her church. She is also an avid traveler and nature lover. Marla lives on a farm in rural Allen County with her family. Misty joined Peel & Holland in 1993. She has several years’ experience in the insurance industry and serves as account administrator for the agency’s business clients. She received the associate of arts degree from Paducah Community College in 1997. Misty continued her insurance education by earning her Certified Insurance Counselor designation. Misty resides in Benton with her husband Jamie and son Jasper. Nancy Litchfield joined Peel & Holland in April 2007. She is primarily responsible for welcoming guests and clients to our office. Nancy also provides administrative support to our agency’s team members. She and her husband Lonnie live in Sharpe. Nathan is a Marshall County native and recently joined the Peel and Holland team in January 2016. He graduated from Murray State University with a Bachelor of Science as a Pre-Health Professional. Nathan’s role on the team is an Associate Risk Advisor. He also is an assistant coach for the Marshall County Lady Marshals soccer team and a head coach for the U16 Marshall County Dynamo travel team. Nick has seven years of experience in the safety industry and has spent most of his time in the construction related field. He has a Bachelor of Science degree in occupational safety and health from Murray State University and is working on a master’s in business administration. Nick and his wife Morgan live in Paducah and are very involved in their community and church. Nick and Morgan have two children, Gavin and Karlie. Nora joined Peel & Holland in 2016 as an Associate Risk Advisor. She is a 2007 graduate of Western Kentucky University, earning a Bachelor of Arts degree in anthropology with a cultural concentration. She also sits on the board for Family Service Society in Paducah. Nora resides in Kevil and enjoys reading, cooking and outdoor activities. Paige has a BS in Public Relations/Advertising from MSU and was previously employed by Daymar College for 6 years in the areas of Admissions and Community Relations. She is very active in Paducah area charitable, civic, and professional groups. Paige, her husband Daniel, and their son, niece and nephew reside in Calvert City. Together, they enjoy traveling and spending time at the lake. Perry has earned his Bachelor of Science degree from Middle Tennessee State University in Recording Industry Production and Technology and his Master of Science degree in Telecommunications Systems Management from Murray State University. Prior to joining Peel & Holland in 2013, he was stationed at Jennie Stuart Medical Center for two years, where he provided support to over 800 employees and medical staff. Perry is responsible for resolving technical issues and supporting end users at Peel & Holland and implements and manages technical projects. Stephen is a Murray native and joined the Peel & Holland family in January of 2018 as an Associate Risk Advisor. He is a graduate of Murray State University with a bachelor of arts degree in organizational communication. His 16-year professional career has involved sales and service roles in corporate banking (PNC Bank in Louisville) and higher education development work (Murray State). He enjoys traveling with family and friends and loves cheering on the Murray State Racers and Chicago Cubs! Stephen and his wife Kim live in Murray with their two sons, Collier and Kellen, and daughter Millie Joy. TiaKay joined Peel and Holland in 2009. She is responsible for the day-to-day account management for our community business clients’ employee benefits plans. TiaKay graduated from Weber State University with an Associate of Applied Science degree in Interior Design. She has extensive experience in management and customer service. She is very active in her church WMU and is also a member of the Murray Lyons Club, along with her husband Ron. She is the mother of four children, Kevin, Alessa, Nick and Zack. TiaKay and her husband Ron reside in Murray. Tom entered the insurance business in 1977. Having attended Prestonsburg Community College and Murray State University, Tom enhanced his professional education by earning the Accredited Advisor in Insurance designation in 1986. He also obtained the Associate in Risk Management designation in 1990. Tom operated the Cook & Wheeler Agency until January 1987, at which time the agency merged with Peel & Holland. Actively involved in community activities beyond his professional interests, Tom served as chairman of the board of the Mayfield Jaycees, of which he is also past president. He is also past president of the Mayfield-Graves County Chamber of Commerce and the Mayfield Graves County Local Development Agency. Currently, Tom serves on the board of the Industrial Authority of Mayfield- Graves County. He and his wife Kim live in Mayfield and have three children and two grandchildren. Tracey graduated in 1985 from the University of Kentucky with a bachelor of arts in business with an emphasis on marketing. She is a licensed property and casualty agent and has more than 10 years’ experience in the insurance industry. 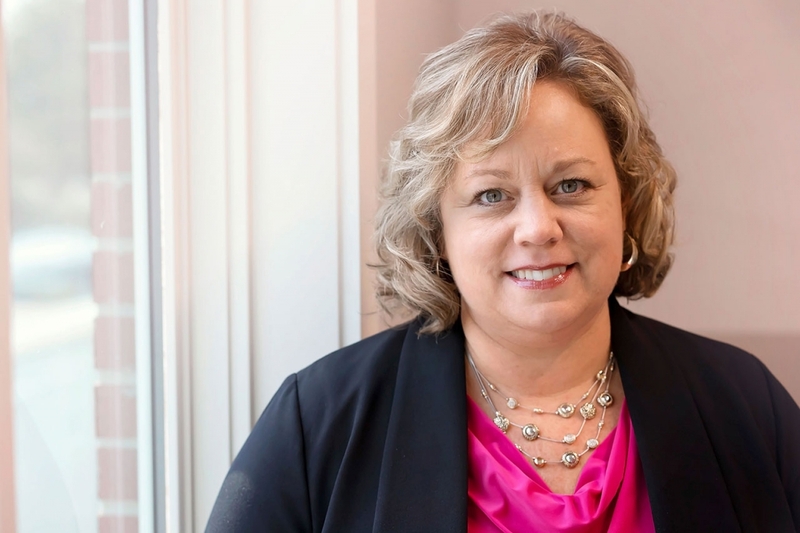 Tracey’s focus is to work with our clients and prospects in the Murray/Calloway County area to provide solutions to their personal insurance and risk management needs. Tracey lives in Murray with her husband Darren and has two grown sons, Joshua and Nicholas. Travis is a Marshall County native where he was raised in a family-run business. He joined the Peel & Holland team in July 2018 and is a 2017 Murray State graduate where he earned his Bachelor of Business degree in marketing. Travis is responsible for day-to-day wellness account management and works closely with our wellness clients in the development and implementation of their wellness programs. Travis lives in Paducah with his fiancée and their two dogs. Valerie joined Peel & Holland in July 2010. She earned her bachelor and master degrees in business administration from Murray State University. Valerie and her husband Mason reside in Paducah with their daughters, Piper and Reese, and enjoy being involved in their church and community, as well as traveling.